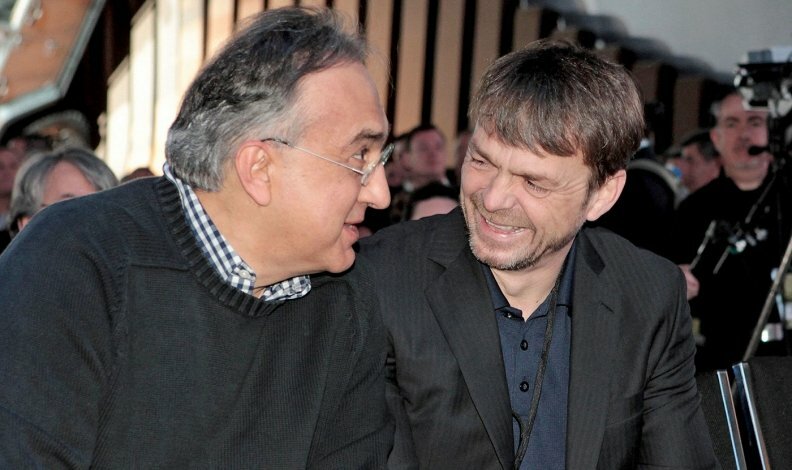 Can FCA's new leadership live up to Sergio Marchionne's vision? What is Fiat Chrysler Automobiles without Sergio Marchionne, the man who handcrafted it? Moving forward after Marchionne's planned retirement in 2019 was always going to be a tough task for FCA. But Marchionne's unexpected death last week eliminated the chance to choreograph a smooth transition, and CEO Mike Manley's tenure got off to a rocky start as the company lowered its guidance for the year and shares dropped as much as 16 percent in the hours afterward. Wall Street's reaction might not have been entirely about the company missing second-quarter earnings expectations or changing its outlook; it also seemed to reflect the uncertainty created by FCA losing one of the most strategic and coveted CEOs in automotive history. Marchionne, 66, was one of few auto CEOs listed as a risk factor in regulatory filings, because of his company's dependence on the charismatic Italian-Canadian executive, who died in Switzerland weeks after suffering complications during surgery. "A light has gone out, a very bright light," Morgan Stanley automotive analyst Adam Jonas said on FCA's earnings call last week. "But he kindled a lot of other lights, and the company's in good hands." However, keeping all those lights shining for FCA without Marchionne could be as challenging for Manley as completing the company's five-year plan through 2022. While turning around Fiat S.p.A. and Chrysler Group to eventually create FCA, Marchionne consistently promoted from within and empowered "the kids," as he called his young stable of executives, to make their own decisions. They either reaped the rewards or suffered the consequences, which many times led to executives leaving to pursue "other interests." It made top lieutenants who stayed, including Manley, extremely loyal. "If Sergio wants me to go sweep up cigarette butts in the parking lot, I'm going to go sweep up cigarette butts in the parking lot," Reid Bigland, then FCA's head of U.S. sales, Canada and Alfa Romeo North America, said in 2015 interview. But executives' loyalty wasn't necessarily to the company as much as it was to Marchionne — a problem that already has started to play out, with Alfredo Altavilla, the head of FCA's Europe, Middle East and Africa region, quitting after Manley's appointment as CEO. Altavilla had been a candidate to succeed Marchionne. Manley said Altavilla's resignation was "unfortunate, but it was not unforeseen." He credited the Italian and longtime Fiat executive for returning the region to profitability, while saying he was confident Altavilla's unnamed replacement would be able to push profit margins higher. "I don't see his departure at all impacting our strategy," Manley said. "I joined for him. I met him, and then I knew," FCA Chief Marketing Officer Olivier Francois said in 2015. "There was such a leadership exuding so that I felt absolutely convinced he would make the turnaround." Ad Age, an affiliate of Automotive News, quoted a former FCA employee, speaking on condition of anonymity, last week as saying, "I'd be shocked" if Francois were to stay without Marchionne. Many times over Marchionne's tenure, Francois and other FCA executives expressed their devotion to Marchionne and the culture he created. Global design chief Ralph Gilles described he and Marchionne in 2015 as having "a subterranean bond," while Scott Garberding, then chief purchasing officer and now head of quality, said he was "very personally invested" in working for Marchionne. Morningstar Inc. analyst Richard Hilgert, in a note to investors last week, said the loss of Marchionne is a "key man risk," which can be detrimental to business operations, confidence and company image. Despite Manley's intentions of carrying out Marchionne's latest five-year plan, which he helped develop, Bernardo Bertoldi, a professor at the University of Turin, in Italy, believes Manley will make his own mark. "I'm quite sure he will have a different style and he will put in place his own organization. It's normal when a new CEO takes charge," he said. "The new organization will probably be an evolution of the Marchionne one adapted to the new CEO and the new environment." Bertoldi, who co-authored a Harvard Business Review case study on FCA's management matrix structure under Marchionne, said one thing he's "quite sure will remain" is "the pressure-cooker leadership style" that was fostered as part of the management structure. FCA's matrix structure includes a complex set of managerial assignments and positions that have dozens of executives overseeing intersecting areas of the business. At the centre of FCA's flat management structure was Marchionne and the company's Group Executive Council — the highest decision-making body outside the board of directors. Manley has been a member of the council since 2011. 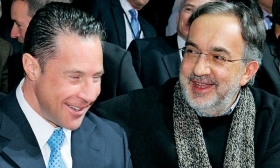 Whether Manley can successfully execute the automaker's five-year plan and maintain the house he helped Marchionne build likely won't be entirely clear until 2022, Bertoldi said. "Manley will be judged on his delivery of the plan," Bertoldi said. "The targets are typically ambitious, just what we've come to expect from FCA. If he hits them, he'll be seen to be a success. That was true for Marchionne for 14 years and has been true for Manley since July 21." Note: FCA executives quoted from 2015 in this story spoke with the reporter while he was employed by The Detroit News.